Dr. Victor Oelbaum is proud to provide high-quality dental care to our patients in Bronx, NY and the surrounding areas. A graduate of the University of Maryland, Dr. Oelbaum is a member of the American Dental Association, the Bronx County Dental Society, as well as the New York State Dental Association. He is known for his extreme attention to detail and comprehensive care. Dr. Oelbaum has been practicing dentistry for 32 years and has chosen a path of continued dedication to excellence in dentistry. His devotion to his patients allows him to develop close relationships with them. This commitment to exceptional dentistry and unwavering patient care is highlighted in Dr. Oelbaum’s pursuit of continued education and implementation of new material and techniques. 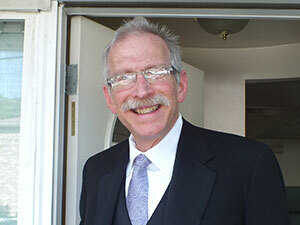 When he is not at his practice, some of Dr. Oelbaum’s hobbies include playing guitar, singing, basketball, and reading. A cosmetic dentist is trained in a broad range of treatments and procedures that aim to enhance the aesthetic beauty of your smile while optimizing the long-term health of your teeth and gums. This is achieved with measures that go beyond routine dental check-ups and cleanings, although these protocols are an essential part of maintaining excellent oral care. With particular emphasis on keeping abreast with the latest practices and technology to provide more effective, comfortable, and minimally invasive treatment, a cosmetic dentist aims to make your dream smile a reality. Depending on your concerns, this may involve restoring the proportions of a youthful and healthy tooth structure, replacing missing teeth, brightening discolored teeth, correcting misalignments, repairing chips or cracks, or strengthening weak enamel, among many other objectives. In short, whether you seek a simple fix with porcelain veneers and Invisalign® or desire a full smile makeover, a cosmetic dentist works to achieve your ideal smile with the hope that it has a positive impact on your oral wellness as well as your self-confidence. Research background and credentials: Learning about your prospective dentist’s educational background and training can give you a good idea of whether they are well-versed and experienced in your treatment of interest. Discover what professional associations they belong to, such as the American Dental Association or the American Academy of Cosmetic Dentistry, and research whether they participate in ongoing education. This information is usually available on the practice’s website, and can speak volumes about whether your dentist keeps up-to-date with the latest advances in dentistry. See patient gallery: Most practices have a showroom or “smile gallery” featuring real patient results from a wide variety of treatments. These before-and-after photos can be an invaluable tool to gauge whether your prospective dentist’s work is in accordance with your expectations. Read testimonials and reviews: Online patient reviews for dentists in the Bronx area can be excellent indicators of your potential treatment experience as well as the type of care you can expect to receive. While testimonials are typically compiled on a practice’s website, additional insight from third-party reviewing platforms, such as Google and Facebook, can provide more feedback from a diverse range of patients. Learn about the practice: When determining which dentist can achieve the results you desire, it can be very helpful to discover what kind of equipment and dental technology a practice utilizes. Advances in cosmetic dentistry now allow for more effective and comfortable treatment with higher levels of safety and patient care. Practices that invest their resources into fostering a positive patient experience with the latest innovations in cosmetic dentistry are often more equipped to attend to your unique needs and concerns than a dental office that uses outdated technology. Schedule a consultation: When all is said and done, you should feel confident in a dentist’s ability to provide exceptional care. There is often no better way to determine how comfortable you feel with a prospective dentist than by meeting them in a consultation. Be sure they answer all of your questions thoroughly and remain attentive to your needs while not rushing or pressuring you into treatment. During this consult, you can also gain a sense of the rapport established and ultimately decide whether he or she is the most ideal dentist to treat your concerns. Do you specialize in any particular treatment or procedure? On average, how many times do you perform the treatment I’m interested in? What kind of equipment and technology do you use, and is it typically utilized in my treatment of interest? If you would like more information on our cosmetic dentistry options, or if you would like to schedule a consultation with Dr. Oelbaum, please contact our practice today.